John began his coaching experience with the Falcons Field Hockey Club while still a junior himself. After retiring from playing on the Canadian Men’s National Team after 12 years, John immediately transitioned to coaching. Over the years, John has coached a variety of teams including 3 generations of players preparing them to transition into the Senior Team as the U21 National Team Coach as well as multiple BC Senior and Junior Men’s and Women’s Teams. He also expanded into such roles as National Team Assistant Coach, and Interim Men’s National Coach. He has been involved in international events such as 4 Pam Am Games, 2 World Cups Qualifiers, Commonwealth Games, One World Cup and 3 Jr World Cup Qualifiers. After a turn as the lead of Field Hockey Canada’s and Own the Podium, Integrated Sports Team for both the Men’s and Women’s National Teams, John returned to coaching the Surrey Sharks and Meralomas Women’s Premier teams, as well as the Surrey Lions Under 18 Boys Team. In addition, he recently coached the Canadian Men’s Over 50 Team at the World Cup Masters in Barcelona. John has 3 Pan Am Gold Medals, two as a player and one as a coach. 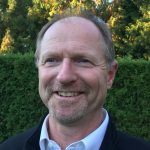 John recently left UBC after 30 years having multiple portfolios from overseeing the Technical Services Engineering Department, to establishing the University’s first Wellness Center to recently overseeing the “New Buildings Transition Team” handover program. In addition to being an avid golfer, John enjoys snowshoeing and traveling. Julie has a Bachelor of Science in Coaching as well as a Post-Graduate Certificate of Analysis of Performance. She has been a Head Coach in the England Hockey National League and was a mentor for England Hockey. Since moving to Canada, Julie has worked with the Women’s Junior National Program as an Assistant Coach and Video Analyst. For the past nine months, Julie has been the Field Hockey BC Provincial Coach and Performance Manager, as well as a coach for U18 and U23 BC Women’s teams. In addition to her work in the field hockey community, Julie also coaches in the Whitecaps Academy program. Julie used to work as a Police Officer in England until she decided to follow her dreams and work as a full time coach and analyst. Julie played soccer for Everton Ladies and field hockey for Liverpool Ladies in the England Hockey National League. Julie’s daughter played soccer for Trinity Western University and has since moved to Europe to play professionally. Krista leads and oversees the implementation of FHBC programs for Vancouver Island. While playing on the Canadian National Team, Krista decided to give back to the community and pursue a career in coaching. She completed her Masters of Education in Coaching Studies program at the University of Victoria and then completed her NCCP Level 4 at the National Coaching Institute. Over the past 20 years, Krista has spent time coaching athletes at the middle school, high school, regional, provincial, university, national and international levels. Krista started playing field hockey at age 12 for her Junior High School team. She continued her playing career through high school and then the University of New Brunswick before joining the National Program. Mathias began his coaching career in Germany, the country that he grew up in. He attended the University of Koln, and received a Diploma for Trainer des DOSB (Hockey Coach). For over 10 years he coached teams in the German Bundesliga (Federal League). Mathias was the Assistant Coach of the Great Britain Men’s team at the 2004 Olympic Games in Athens. He was also the Head Coach of the Scotland Men’s National team from 2000-08, leading them to a Commonwealth Games, European Championships, and European Indoor Champion’s Trophy. Mathias was also the Head Coach of the Canadian Junior National Team that won Silver at the 2012 Junior Pan Am Cup, and competed at the 2013 Junior World Cup. Most recently, Mathias was the Chief Coach of India’s National Women’s team that qualified for the 2016 Olympic Games in Rio. Mathias spent his entire playing career in the German Bundesliga, playing for Club an Der Alster, GrossFlottbek, and Klipper. He also represented Germany at the youth level. These days, Mathias’ favourite hobbies are fun activities with the family, such as skiing, 2v2 Soccer and hockey – it can get very competitive! Gavin is in his first year coaching for the FHBC Provincial program. 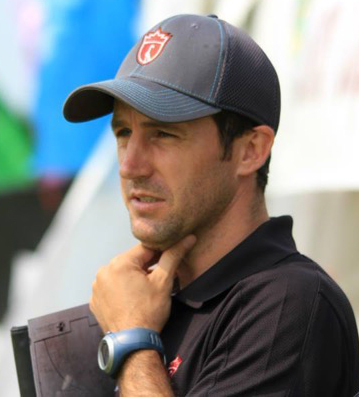 He has been involved with field hockey since the age of six and has been involved with the Canadian Men’s Junior Development Squad since 2014. Gavin will also be attending Nationals as a player for the Team BC U23 Men’s team. Alex has been coaching with FHBC in the Regional and Provincial program since 2016. He was the Assistant Coach of the U18 Boys BC Rams who came in second place at the National Championships in 2017 and has been coaching the Train 2 Compete Regional program for two years. Alex is the Club Manager for the Vancouver Hawks Field Hockey Club and plays for the Vancouver Hawks in the Vancouver Field Hockey League. Jenn leads and oversees the implementation of FHBC programming for the North Vancouver and West Vancouver School District Academies. Jenn is also the Head Coach of the Northwest Train 2 Train Regional Program. 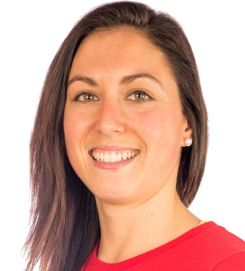 Jenn is a Chartered Professional Coach, has completed her NCCP Level 3 Coaching Accreditation and is currently pursuing her Advanced Coaching Diploma through the Canadian Sport Institute and Coaching Association of Canada. She has been a FHBC Regional and Provincial Coach since 2006, was the FHBC Coach of the Year in 2011 and is a coach education facilitator and evaluator for FHBC. Jenn has also coached for the West Vancouver Field Hockey Club, in the US Futures program and at the ECFH National Academy and Training Center. Jenn led the U15 Girls BC Rams to a Gold Medal at the 2017 U15 National Championship, maintaining an undefeated record along the way. 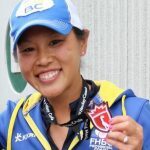 As a Junior athlete, Jenn competed for BC Provincial Teams, and was also a member of the U19 Canadian National Team that competed at the Youth Commonwealth Games in 2000. Jenn played NCAA field hockey at Kent State University and was part of the team that won three Conference Championship Titles, made three appearances in the NCAA Sweet 16 and were ranked 7th in the Nation. Jenn graduated with a degree in Architecture and now works locally with a Sport Architecture focus, working on projects such at the Richmond Oval and Fortius Sport & Health. Jenn is also the Owner and Lead Coach at Access Sport Athlete Services. 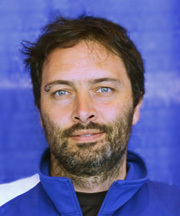 Chris started coaching in Victoria, with the Victoria Junior Field Hockey Association, while he was still in high school. Since moving to Vancouver in 2015, he’s taken his coaching to the next level, coaching a myriad of programs for WVFHC and FHBC. The 16/17 season was his biggest so far, coaching a U14 WVFHC team on tour in Virginia, coaching the FHBC academy, and culminating with coaching the T2T BC White Lions to a fourth place finish at nationals last summer. This season he helped coach the North West T2T group over the winter. Chris grew up playing field hockey in Victoria, and spent most of his weekends on the ferry to go through the FHBC High Performance and Provincial Team programs. Chris played for the University of Victoria from 2008-2012, and 2014-2015. He is currently the head of the science department and teaches Chemistry at Brockton School in North Vancouver. 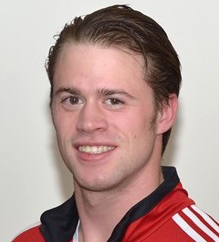 Stephen has represented Canada in Field Hockey at the Junior & Senior Level. He retired from the National Program at the end of 2016. Stephen comes from a very talented field hockey family. His Uncle, David Bissett, is a 2-time Field Hockey Olympian, his twin Brother, Matthew, also played for Canada at the Junior & Senior Level, and his younger Brother, Brendan, is still playing for Canada and was a member of the 2016 Canadian Olympic Team. In fact, all three brothers have played on the same team before, including when they were all on the Canadian Junior National Team in 2012-13. Stephen’s biggest inspiration is Rick Roberts, his former coach. Rick showed him the meaning of hard work, sacrifice and dedication and gave him the inspiration to follow his aspirations. Bubli is a Level 3 NCCP Certified Coach and has coached Team BC since the late 1990’s at all levels from Senior, U21, and all Junior levels. He most recently lead the Girls U18 BC Blue team to a Gold Medal at the 2016 National Championships. Bubli was the Assistant Coach of the Canadian Men’s National Team that competed at the 2000 Olympic Games in Sydney. He was also the Assistant Coach of the Canadian Women’s Junior National Team from 2009 to 2010. Bubli started playing field hockey when he was 10 years old, joining India Club. He went on to earn 318 CAPS for Canada in a career that spanned 3 decades and took him to 3 Olympic Games, 3 World Cups and 6 Pan American Games. Due to his illustrious career, Bubli was chosen as the Flag Bearer for the Canadian contingent at the 1995 Pan Am Games, and in 2015 was inducted into the inaugural class of the Canadian Field Hockey Hall of Fame. 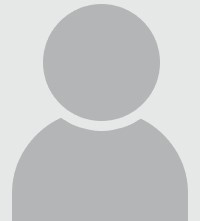 Bubli was also a part of the India Club Premier team that won 18 straight Men’s League Championships from the late 1970’s to late 1990’s. Bubli’s biggest sport accomplishment was being a part of the Grade 7 City Ball Hockey Championship Team from General Brock Elementary School. Adrien is in his first year coaching with the Field Hockey BC Provincial Program. Adrien grew up in Coquitlam, BC and has been involved with field hockey since the age of 10. He attended both the University of British Columbia and Capilano University. Adrien is currently a member of the Canadian Men’s Senior National field hockey team and he plays his club hockey with the Burnaby Lake Field Hockey Club. Alyssa has been coaching field hockey for approximately 12 years. She started coaching in the Cowichan Junior Spring League with a variety of ages. Since then , she has coached a team in VILFHA, a California Cup Team, and at Brentwood College. She is currently coaching in a Junior Indoor Progrm and will be coaching Frances Kelsey Secondary in the fall. This is Alyssa’s second year coaching in the FHBC Regional Program. Dani has been coaching and mentoring athletes at Junior National training camps for the past 3 years. She was an assistant coach to the Girls U18 BC Blue team in 2014, and worked with both the Northwest and Interior Regional programs this past year. Originally from Kelowna, Dani is a veteran member of the Canadian Women’s National Team. Earning her first cap in 2010, she has gone on to play 132 games for Canada and is currently vice-captain of the team. Dani has represented Canada at the 2011 and 2015 Pan American Games, 2013 Pan Am Cup, and the 2014 Commonwealth Games. In 2014, she was the Field Hockey Canada Women’s Player of the Year and in 2015 was part of the Canadian team that won Bronze at the Pan Am Games, the first medal the Canadian women have won at the event since 1999. Dani also played three seasons with the University of Victoria Vikes from 2008-10. Ali has been coaching with the Island Regional and FHBC Provincial programs since 2007. She was named FHBC Women’s Coach of the Year in 2012 after helping BC win gold at the U16 National Championship. Based in Victoria, Ali dedicates a lot of her time to helping grow island youth field hockey players staying heavily involved in both the Victoria Junior Field Hockey League, the Vancouver Island Women’s League as well as forming the island’s first women’s premier team, the Island Wildcats. Ali now coaches the same two programs – FHBC Regional and Provincial – that she came through as a player. She was a defender for Team Canada (2010 Commonwealth Games, 2005 Junior World Cup) and she captained the University of Victoria Vikes for four of her five seasons. Ali has spent the past few seasons coaching regionally and provincially with former national team stand defender Andy Rushton, one of Ali’s biggest role models growing up. 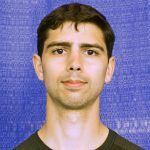 Ali works in communications and volunteers for multiple international events including the 2014 FIH World Cup, 2015 Pan American Games and 2017 Pan American Cup. Geoff began his coaching career in South Africa, where he grew up, coaching U18, U21 and Senior teams. 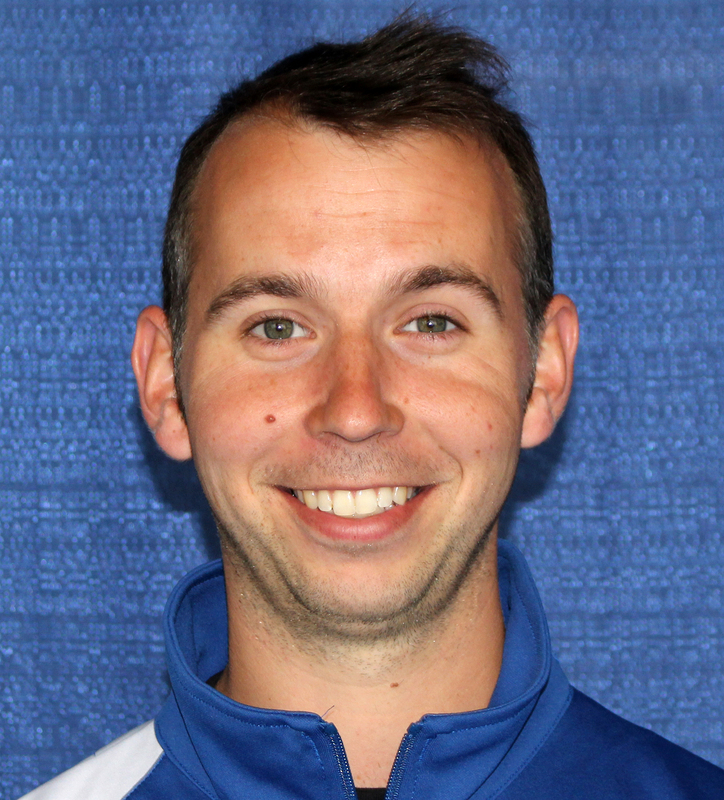 Since moving to Canada, Geoff has coached at the Club, Provincial, National, and International level. 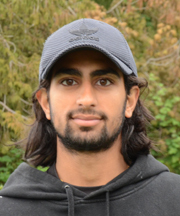 He works with the West Vancouver Field Hockey Club as the Technical Director, overseeing all club coaches and programming. He coached the T2T BC Boys Blue Team in 2013. He was also the assistant coach of the Canadian Men’s Junior National team that won a Pan-Am Silver Medal and competed at the 2016 Junior World Cup. Geoff is also involved in the Canadian Men’s Senior National Program. Geoff’s whole family has played field hockey, including his Grandad, Aunts, Uncles and Parents. He started playing at the ago of 6 and went on to represent Western Province, South Africa from U16 through to the Senior Level. Geoff is an accomplished athlete beyond field hockey as he has completed four ultra marathons, with courses ranging from 56km to 86km long. Sujay is currently coaching the boys T2T BC Lions and looking forward to heading out to Toronto. He was assistant coach for the boys T2T BC Rams who won the gold medal at Nationals in 2017. He was involved with the boys T2C Ravens at the Regional Tournament in 2018 as well as the boys T2T Regional Training Program since 2016. 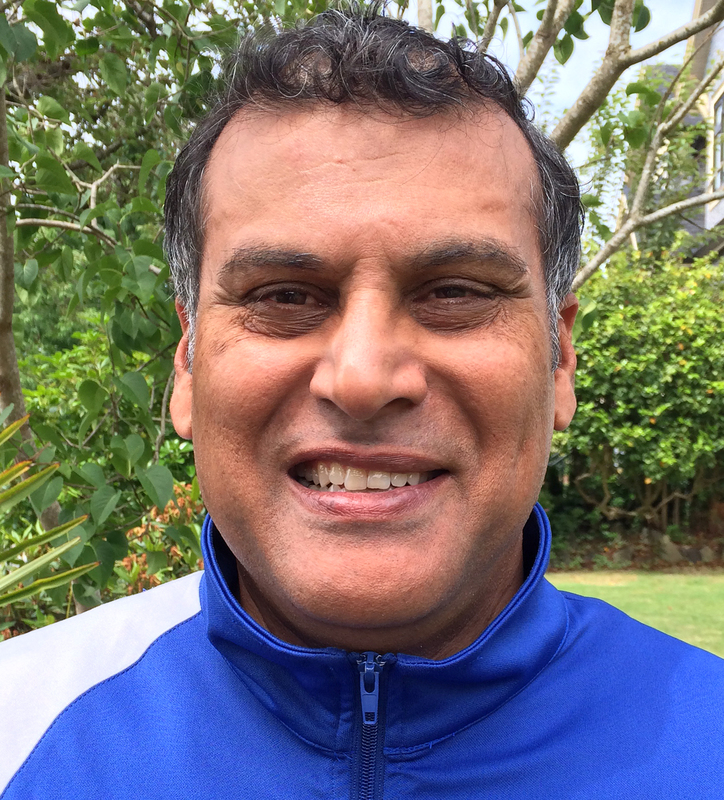 Sujay has coached and assistant coached multiple sports. He has been involved with club hockey through the Vancouver Hawks for a number of years. He has travelled with teams as coach, manager or chaperone to California, Florida and the Netherlands. Sujay has been involved in many sports, including university track and field and cross country, where he attended Nationals for the 4x400m relay. Sujay has been involved with coaching ice hockey, soccer and field hockey. Andy completed her NCCP Level 3 Coaching Accreditation in 2009. She has been a FHBC Regional and Provincial Coach since 2007. She also coaches in the Victoria Club system. As a coach she enjoys the challenge of seeing the game through new eyes. She is interested in mental training – the body-brain connection – and strives to create a positive environment for athletes to grow mentally and physically. Andy loves field hockey! She was first introduced to the sport through her Aunt in Elementary School, and went on to compete for the University of Victoria and captain the Canadian Women’s National Team. 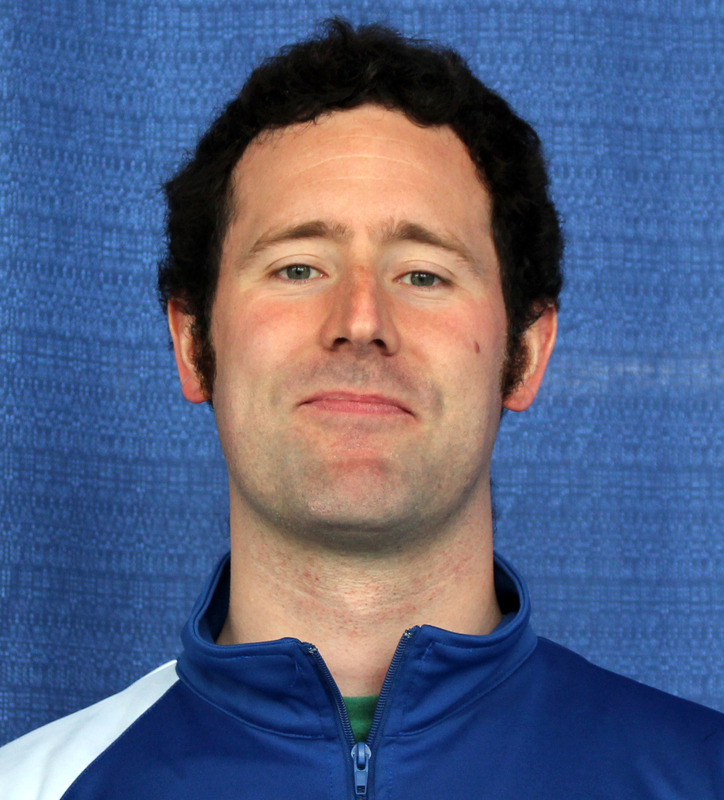 Prior to coming to Canada, Chris coached the first teams of Trinity College Dublin and Pembroke Wanderers in his native Ireland. In addition, he coached the U21 Leinster provincial side for 5 years, winning 3 National Championships. Chris has spent the last season coaching in the Northwest T2C Regional Program in the Lower Mainland as well as coaching the VRC Jokers ladies team to the Championship league title. Chris previously played for Trinity College Dublin and Suttonians HC back home and now plays for the VRC Jokers in Vancouver. Chris is a qualified Chartered Accountant with a Masters in Management from University College Dublin and an undergraduate degree in Neuroscience from Trinity College Dublin.